Submitted by mahoney on Fri, 05/30/2008 - 10:17pm. list of all a&w stores in the US and Can. Originally submitted by emanjungle. Maintained by mahoney from 6/11/2012. Added the Canadian locations to the file and renamed the file accordingly. 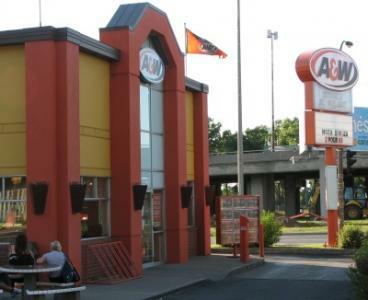 The Canadian operation is owned and operated by the privately held A&W Food Services of Canada Inc and it has no corporate connection to the US A&W chain of restaurants. Updated Fl and added LJS to some locations.. Submitted correct coordinates for the location in Grand Forks,BC and also 2 new locations in Nelson,BC. Submitted closed locations in Houston,TX and Pasadena,TX. Also submitted 4 missing phone numbers. Noted that the location in Cabazon,CA has closed. Submitted an address correction and subsequent coord for the location in Hope,BC. Added new locations in Iron River,MI and Aurora,MN. Location in Merritt Island,FL is closed for renovation. Added a location in Mililani,HI. Corrected the coordinates for the location in Oneida,NY. Added 5 locations in Alaska and 17 locations in Idaho.